In the past few years, the online way of getting the education has grown immensely. In fact, in America, the number of online students has increased from two million and now up to 6 million with up to 22 million college students currently getting an education. Accordingly, the educational system abounds more online colleges over the decades. These colleges enable students to graduate or complete any sort of course with little more than a laptop and good enough internet connection. Notably, online colleges vary. So, after extensive research, I have brought to you the top 10 online colleges/Universities that offer flexibility in looking through their field of interest and education. 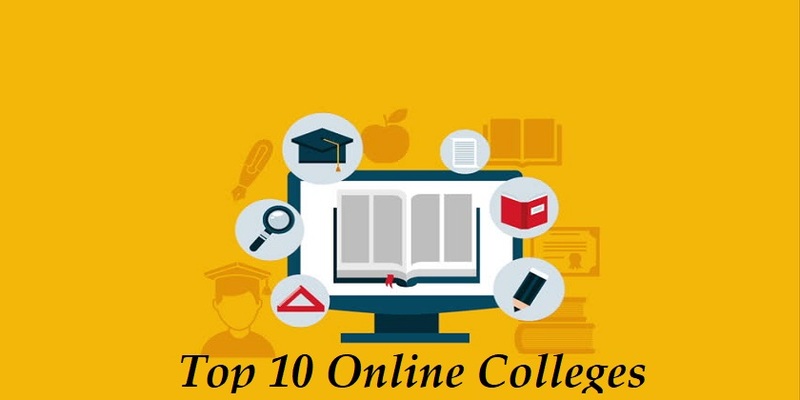 Undoubtedly, we have ranked the following top 10 online colleges/Universities by academic excellence, online teaching methods, reputation, the scholarly strength of faculty, regional accreditation, financial aid and the range of offered degree programs. Penn State World Campus was launched in 1998. Initially, it is the online campus of the Pennsylvania State University. And the online courses are the same they offer on the physical campus. Therefore, your diploma won’t vary from the physical campus’ student. They offer an impressive list of 125 online programs. These 125 online programs are the most in-demand programs. These include degrees in education, business, engineering, technology, healthcare, and much more. Penn State World Campus offers much flexibility. So students can study their schedule. But students must complete assignments, discussions, and exam sets by deadlines. The University of Florida Distance Learning, also UF, was established in 1853. UF is recognised nationally and globally as a leader in academic excellence, both on campus and online. It has more than 49,900 students. Moreover, it consistently ranked among the top universities in the United States. They have sixteen colleges and more than 150 research centres and institutes. Oregon State University, founded in 1868, is a public research university. Through comprehensive online degree and certificate program, it provides students access to high-quality education, no matter where you live. All Encampus’ graduates receive the same transcript and diploma as Oregon State’s on-campus students. Due to rigorous criteria including academic quality, student engagement, faculty credentials and training, student support and student satisfaction, it is among the best universities. OSU has more than 31,000 students across their colleges and schools. Oregon State University offers more than 200 undergraduates and graduate (including doctoral) degree programs. And it is home to the internationally well-known Center for Gene Research and Biotechnology. On the other hand, OSU ECampus offers more than 900 online courses and a number of degree programs. Arizona State University, found in 1885, is a public research university. It is the largest university in U.S. enrollment. It has more than 100,000 students across 16 colleges and schools. Also, it offers a variety of bachelor, master, and doctoral degrees. And it is one of the top business universities. ASU provides about 90 graduate and undergraduate degree programs. In addition, it offers more than a dozen certificate programs. Offerings include bachelor’s degrees in art history, business, film, and justice studies. The University also offers master’s degrees in legal studies, nutrition, English, electrical engineering, and more. ASU Online students have access to enrollment counsellors, academic advisers, and success coaches. Online students can follow their own schedule. In addition, some Online courses require specific log-on times, and most have set assignments and deadlines. The University of Massachusetts, established in 1863, is a public university. It has about 71,000 students across five campuses. Besides it consists of four universities, a satellite campus, and a medical school. The University of Massachusetts offers a wide variety of graduates and undergraduate degree programs. It also includes doctoral degree programs. Offerings include nursing, applied psychology, gerontology, security studies, visual studies, criminal justice, and more. Like the other online universities, online Students of UMass earn the same degree as an on-campus student. Furthermore, online students have access to services, such as library help, fellowship advising, and academic counselling. The Boston University, established in 1839, is a private research university. It has more than 33, 000 students across 18 campuses. The Boston University offers a variety of bachelor, master, doctoral, and professional degrees. Besides these, they offer many graduate and undergraduate programs. The list includes management, taxation law, art education, music, occupational therapy, and more. University’s online students have access to a variety of services, including library resources, career services, and tutoring. The Washington State University, established in 1890, is a non-profit, public research university. It enrols about 28,000 students. Moreover, the university offers 200 fields of study leading to bachelor, master, and doctoral degrees. The Indiana University, found in 1820, is a public university system. It enrolls more than 110,000 students across their campuses. Indiana University offers a host of degree programs and boasts more than 580,000 students. Indeed, it attracts students from all over the world. Online, they offer hundreds of online classes and more than 100 degree programs. So, students can take courses such as business administration, mathematics, political science, nursing, and more. Moreover, students can earn a doctoral degree in instructional systems technology, nursing practice, and nursing science. Besides, students can choose any other certificate programs. Also, online students have access to libraries and technology resources. The University of Minnesota–Twin Cities, found in 1851, is a public, land-grant, Sea Grant, space-grant university. It has more than 51,000 students. The university offers more than 300 undergraduate and graduate degree programs across 19 schools and colleges. They offer a variety of online degrees. Degrees include applied health manufacturing management, entrepreneurship, communication and more. Notably, Students can complete most of the programs online, while some programs require on-campus visits. Furthermore, online students have access to financial aid, technical support and library resources. Northeastern University, established in1898, is a private, non-profit research university. It has about 20,000 students from nine colleges and schools. University’s offerings include over 60 online degree programs, which allows students earn their degree on their own schedule. So, university’s online programs include approximately 20 bachelor’s degree in English, finance, and political science; master’s degrees, including taxation, respiratory care, leadership, and homeland security; and doctoral degrees in education and transitional physical therapy. In addition, they offer up to different 30 certificate programs. Finally, I hope the list of Top 10 Online Colleges/Universities could help you choose the better option. please, let us know about your view and questions in the comment section below.